Start a Homeless Pet School Club! 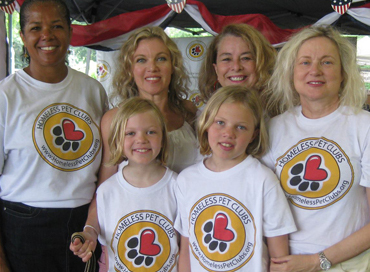 Starting a Homeless Pet School Club is easy and it is FREE. Simply fill out the registration form below and you are on your way to helping homeless animals in your community. TEACHERS, please use a personal e-mail address. Most of our automated messages to you are being blocked from county e-mail servers. "We set the time for our first club meeting for 7 a.m. and 140 kids showed up! We have to have before and after school meetings to accommodate all the kids who want to belong!" "The quiet kid who wasn't in the 'smart bunch' or the 'athletic bunch' turned out to be the one to coordinate our plan to get our sponsored pet adopted, and get everyone motivated. Suddenly, there was something HE could win." "When HPC starts, girls from all the different groups -- popular, geek, athletic, fashionista, divas -- come together to bake dog treats or help with an adoption. Suddenly, they're not different, because they are all alike in their love of animals."